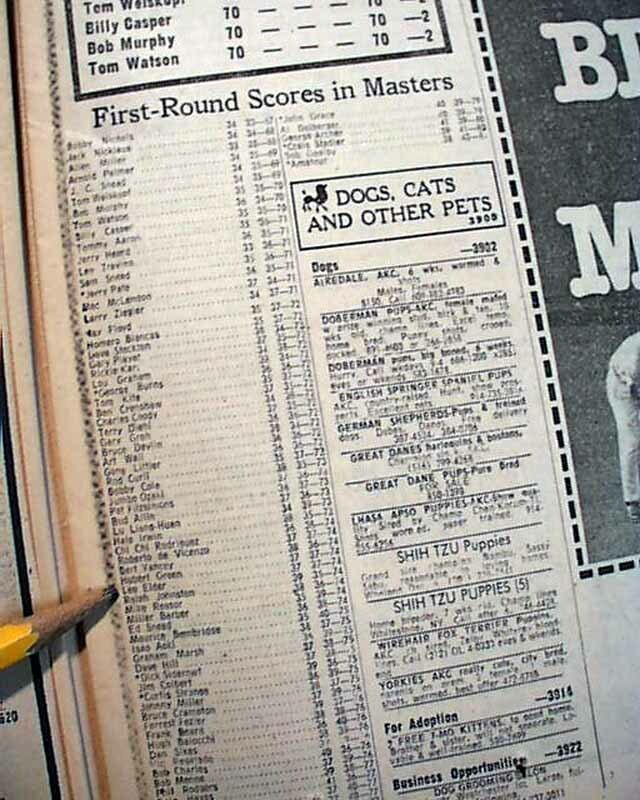 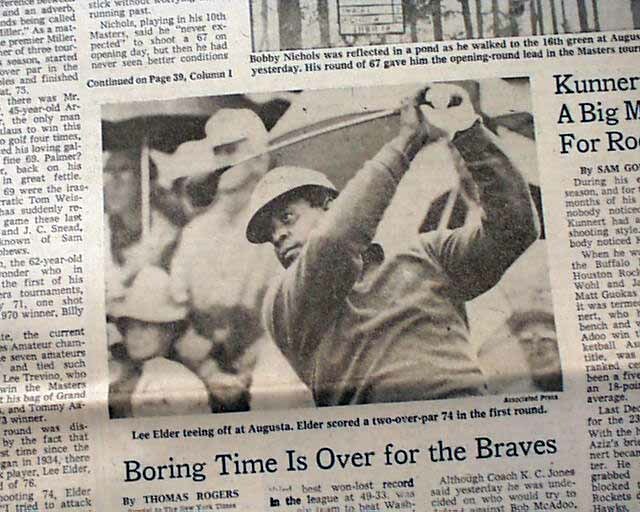 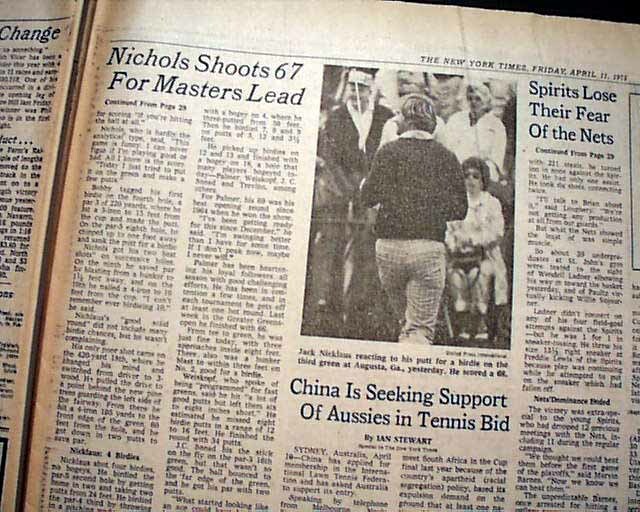 Page 37 has a five column headline: "Nichols Shoots 67 for Lead in Masters; Nicklaus at 68, Palmer 69, Elder 74" with subhead an two related photos, one showing Lee Elder. 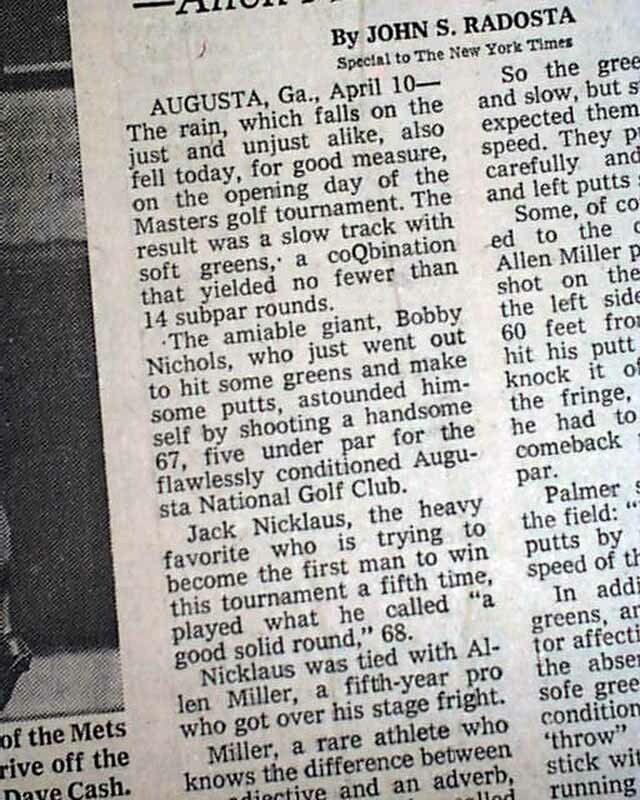 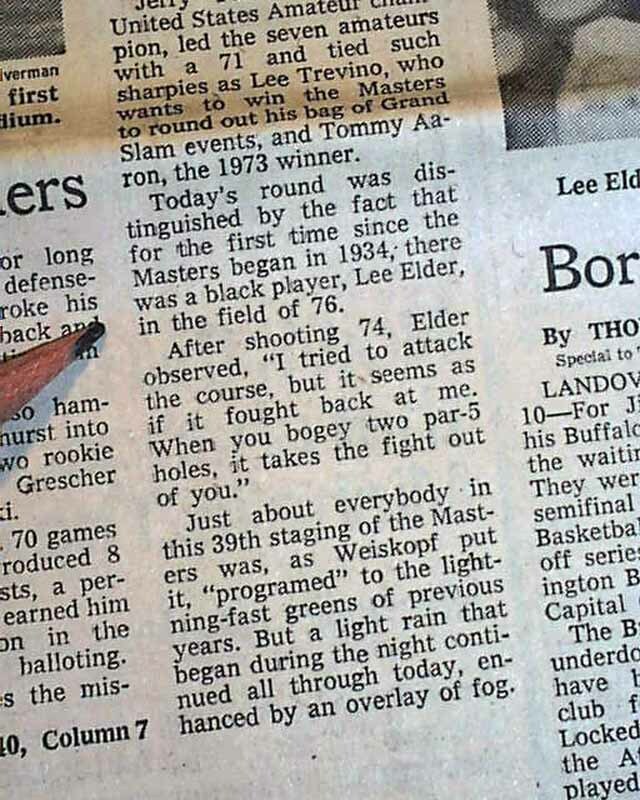 (see) Text includes: "Today's round was distinguished by the fact that for the first time since the Masters began in 1934, there was a black player, Lee Elder, in the field of 76"
Other news, sports and advertisements of the day. 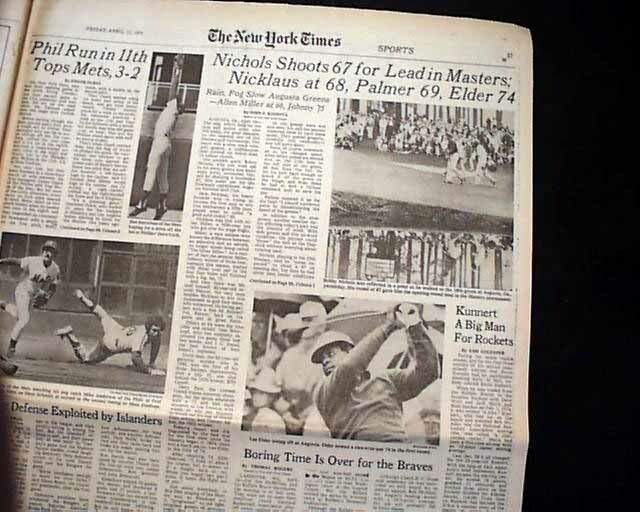 Complete in 60 pages, nice condition.